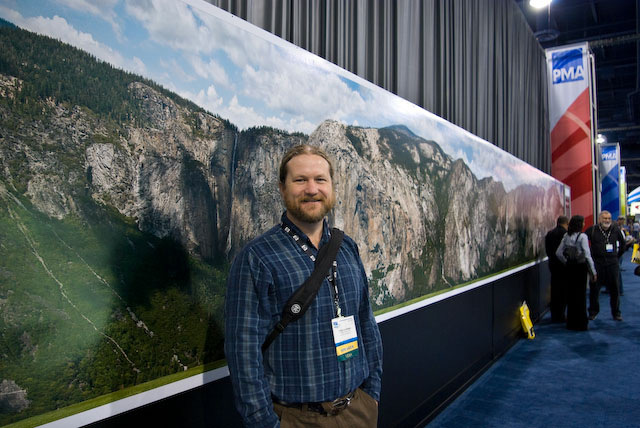 One highly compelling method to reveal the vast level of detail contained in a gigapixel image is to print it in a large format over a very long length. 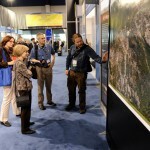 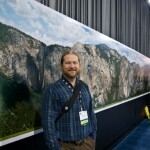 xRez Studio displayed a 40 foot x 5 foot at 300 dpi gigapixel print of Yosemite Valley, dubbed the “AIE Mega-Print” at the Photo Marketing Association 09 conference in Las Vegas. 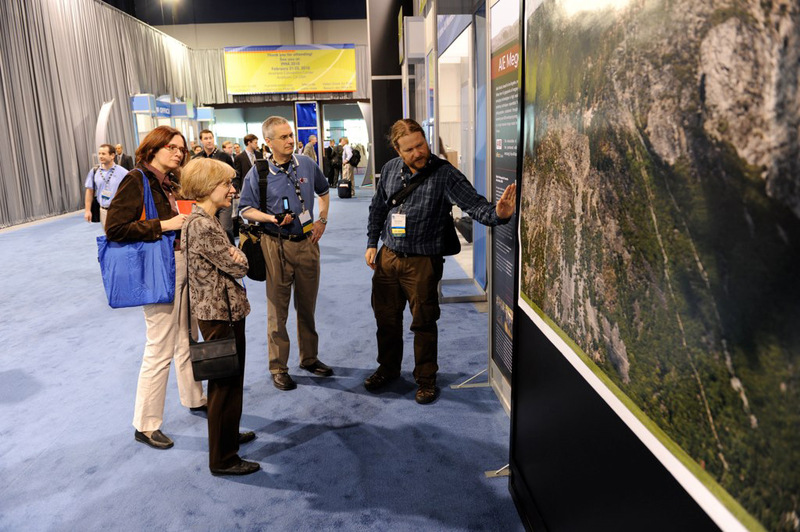 The image shown was sourced from a 150,000 pixel render from Maya and Mental Ray, having been derived from several hundred images shot during the Yosemite Extreme Panoramic Imaging Project in 2008.